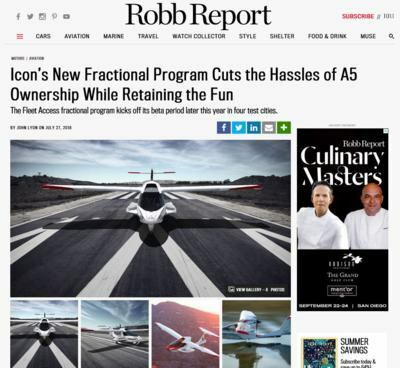 Barnstorming: Robb Report (& others) Seem To Be Covering For Icon Aircraft-Why? With Oshkosh 2018 barely in the rearview mirror, we're just starting to get the chance to analyze some of the more intriguing news and reports we encountered from this year's wholly successful event. One of the most extraordinary aspects of Oshkosh 2018 was just how overtly positive the whole event was… And it is a potential/positive harbinger for the future, if the aviation industry can find a way to make the other 51 weeks work as positively as that one incredible week in July. At the same time, the usual assortment of scams, jerks, and other nonsense did make itself known here and there. Not as much as some years… but still way too much to suit our sensibilities. There was some clown selling Nazi memorabilia in one of the vendor areas… The kind of stuff that seemed to go way beyond the limits of historical interest, and seemed to be pushing the glorification of certain aspects of the Nazi era. It was disgusting, and EAA has been made fully aware of it. I’ll let you know what they decide to do about it. In another case, it was pretty obvious that One Aviation was not in its usual location at AirVenture 2018 (though one of the foreign publications seem to think that their misfortuine was hysterical...). The embattled company is having a really difficult time getting certain aspects of its financing and organization package together (though, they may finally be getting close to a successful outcome, reportedly), and in particular, One Aviation Boss Alan Klapmeier, is still going through hell dealing with what we consider to be outright harassment from the company HE CREATED – Cirrus Aircraft, formerly Cirrus Design. Cirrus has been making Alan’s life, personal and professional, an utter living hell. Considering the fact that the company is currently run, to some extent by his brother, one really has to wonder about the ethics and morals of a company that has taken such extraordinary actions to try to write out Alan's incredible contributions to creating the company, while also attempting to inaccurately replace it with revisionist history that is often way off the mark, and often borders on complete BS. There's more to update about this company, and its deplorable lack of ethics and credibility, but we'll save that for another time. 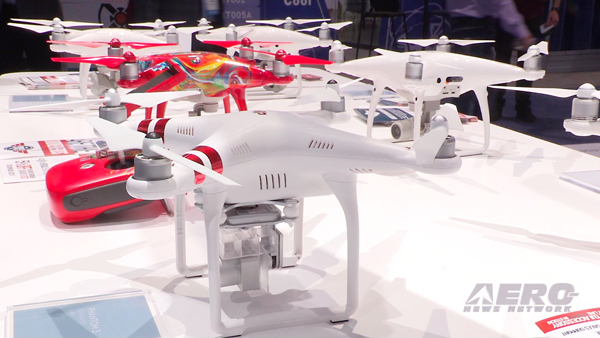 In one particular case, though, the integrity issue that rears its ugly head in certain aspects of sport and general aviation was really noticeable this year in regards to one company’s seeming lack of same. And again, were talking about Icon Aircraft… Not exactly the poster child for truthfulness, credibility, keeping their promises, and acting in the best interests of the industry. 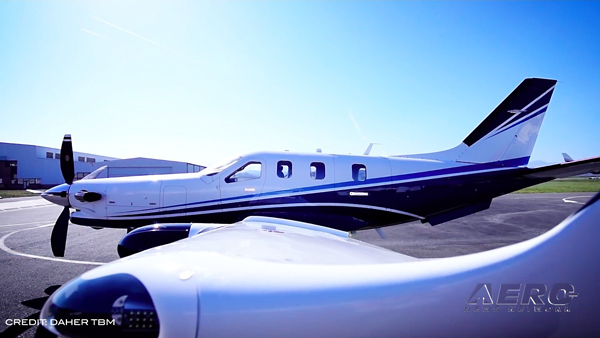 Icon Aircraft introduced yet another plan/scam to find ways to ‘sell’ airplanes that, heretofore, they've had a hell of a hard time producing (a total of JUST FIVE airframes, through the first half of 2018—according to the most recent GAMA Report). In this case, Icon has come up with a grandiose offer by which you can buy shares in an Icon A5… Providing they actually can provide a real live aircraft… They want exorbitant sums for the airplane that was originally supposed to cost $139K. Now, the Icon Access Plan basically totals a cost of $125,000 for a quarter share or $225,000 for a half share, plus $75 per hour, plus user fees of $350 per month and God only knows what else. Unfortunately, since our original critical stories about their abortive contract game a few years ago, much of the aviation press is still giving them a pass and choosing to forget how many times this company has broken its word over delivery dates, over its abilities, and a number of other efforts that were at best, deceptive. And in the case of non-aviation media, Icon Aircraft does a masterful job of pulling the wool over non-aviation-educated journalists and writers' eyes, filling them with fantastic stories about how great the aircraft is, how safe it is, and throwing as many buzzwords and technical jargon out as possible, at these folks so that the resultant articles are often inaccurate, filled with oft-errant terminology that the writers are clearly not qualified to work with, and grandiose statements about how Icon will revitalize the aviation world -- which it has failed to do for over a decade now. ‘The Robb Report’ is a journal that caters to the economically advantaged, and loves to talk about expensive cars, boats, planes, travel, what have you. Yet another glorious report on the virtues of the Icon A5 contained a number of errors, more breathless praise, and pretty much wrote the story is if it came right out of the Icon Aircraft playbook. When I added my personal commentary to the story, via an online comment form, I made a few critical but polite comments about the "puff piece" that the story appeared to be, and suggested that aviation-conversant people should write aviation-specific stories and non-aviation people should not… At least, not without careful research and checking with folks in the know. ANN helps non-aviation media with aviation stories several times a week, and I know that there are others who do likewise, so there is little validation for such inaccuracy. 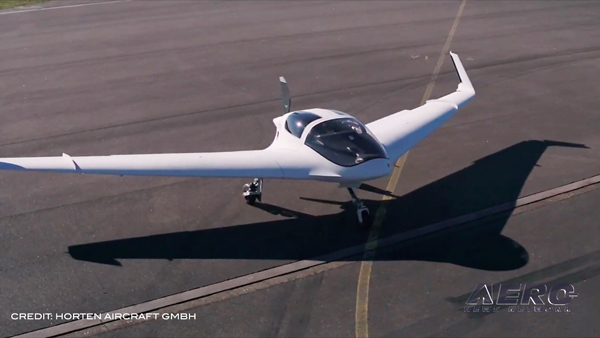 From what I observed, a number of other comments followed mine, all critical, all bemoaning the lofty promise that the Icon Aircraft A5 program once represented, and what a disappointment the reality turned out to be. In a short period of time, my comment disappeared. Shortly thereafter, ALL the other comments – each of them as critical or nearly as critical as mine – also disappeared. I have made over 2 dozen attempts to reach out to Robb Report to see what happened. I've made phone calls… And I've left quite a few messages (of my many failings, a lack of persistence is not among them). Not a single call has been returned. Not a single email has been returned. And the tweets have gone unanswered. I don't have a whole lot of familiarity with the Robb Report… Over the years I've seen them publish a number of stories about various aspects of aviation -- including biz jets, turboprops, and other high-end aircraft that they considered to be luxury aircraft. In some cases, they've utilized writers with aviation backgrounds, and those stories have generally been accurate, albeit and often, a little over the top with the praise. Not so, though, with the Icon Aircraft piece -- which incorrectly states what the initial asking price for the aircraft was, and how "...This year, things have been reassuringly calm, with production ramping up" (despite a GAMA Report that shows only 4 produced in Q1/18 and ONLY ONE in Q2 -- THIS is ramping up?) -- along with other details. They glossed over much of the company's problems, and in noting the accident history of the airplane, and the two horrific fatal accidents that occurred in Icon A5 aircraft (not to mention others in which the airframe suffered hull damage for hard landings and other undisclosed reasons), they blame simple pilot error -- without noting that the flight regimes that preceded the accidents also mimicked quite a number of well-documented company demonstrations, and even demonstration videos, showing the aircraft being operated BY THE COMPANY in an overtly aggressive manner, and certainly not the manner that the company condemned after the accidents occurred. As we all know, the pilot in command of any aircraft is the ultimate arbiter of what happens with their aircraft, but the company’s callous disregard for how these demonstrations look, what they imply, the lessons they teach, and what impressions they may leave on potential customers and students, really has me scratching my head. It’s not good sales and marketing, its not safe… and it seems kinda dumb. In yet another case, another non-aviation publication (Beverly Hills magazine—not exactly an ‘icon’ of aviation journalism) did yet another breathless report on how wonderful the aircraft was, a story that was also featured in some of Icon Aircraft’s self-congratulatory social media… BUT ICON NEVER denoted the inaccuracies in the stories, the hyperbole, and the fact that one of the parties involved in a video accompanying the article called the Icon A5, a "JET AIRCRAFT." They just pushed that story out into social media with their apparent blessing and without correction or caveat. Icon Aircraft has to know that this hype and bluster is inaccurate and misleading… And we’ve called them on the carpet for it for many months now… But they clearly don't care, and they keep promoting the same inaccurate, hype-filled, dumbstruck stories that are wholly short on accuracy, but clearly also intended to make Icon look like the savior of GA. Obviously, if you look at the decades’ long history of this bumbling aircraft development program, it's anything (at this point) but an embarrassment to the industry… Even though few, inside or outside, the aviation press are willing to deal with the realities of just how many times Icon Aircraft has failed its customers and the industry. Don't get me wrong, when this whole thing started out, we wanted to believe in this thing… We were even sought out by Icon Aircraft CEO Kirk Hawkins, met with him on several occasions, and helped him convince the FAA to give them a break in regards to the low-speed considerations/weight limit in order to get the aircraft "certified" as an LSA, but at a higher weight than the standard protocol. In the meantime, Icon continues to use (aggressively) ignorant non-aviation media to get people excited about an aircraft that they still cannot produce in any significant numbers, they continue to gloss over the many problems that the company has had, they have avoided/subverted critical commentary wherever possible, and all while keeping the wool pulled over as many eyes as they can… As if nothing is wrong, everything's on course, and Icon is the best thing since sliced bread and cold beer. One of these days, one of two things is going to happen. Either Icon is going to get reorganized (probably under new management) and get its act together… because they simply can not continue like this. Or the company will fail. What happens if/then is anybody's guess, but like the Eclipse Aircraft scenario of years past, someone may attempt to buy it for pennies on the dollar and try to make a go of it. I've known a number of people involved in the Icon project, I have a reasonable amount of confidence that the airplane still has potential, though they still won't let me flight test it without preconditions that I am unwilling to accept because it would give them control over what I write, and so my main concern with Icon Aircraft is with the inexplicably deplorable actions of the company, it's loathsome record of dishonesty, and what simply has to be its gross mismanagement (IMO) at so many levels. Remember, this is a company that has blown through hundreds of millions of dollars, has had a number of very accomplished people work with the program, and yet -- has failed miserably, to date. A number of very successful programs have been accomplished on a lot less money, and the "Icon effect" is now creating serious problems in parts of the industry seeking investment -- though they now find potential investors scared away by the Icon fiasco, the lack of success the company has had, and the shadow cast by the outright BS that surrounds this cute but unsuccessful little airplane. I'm not sure what happens from here… I think the shared ownership plan is yet another near-to-last gasp from a company trying to find a solution to problems that they really won't confront. The vast amounts of money involved in this option simply don't suggest a good value, especially to those who may undertake what we see to be a risky shared ownership plan, and may thereby be imperiled by a shaky company that heretofore has not been able to keep its word. Shared ownership requires one to depend on those who are providing the hardware and the services… And we've seen precious little evidence of Icon's ability to do either. In the meantime, Robb Report and Beverly Hills magazine seem (to us) to be doing a huge disservice to their constituency, as well as those looking to find adventure in the skies, by publishing puff pieces that are short on accuracy and detail, long on hype, and fail to look at a clear picture of the company and aircraft that have had tremendous potential for over a decade and failed to realize it. Same old stuff, people -- garbage in/garbage out. The aviation public, and the industry around it, deserves better. And those who want to become a part of the aviation world deserve far better. In the not-too-distant future, based on some real disappointments we've experienced here and there within the sport, general, and commercial aviation world, ANN will shortly be discussing what we call "The Integrity Factor" and are attempting to come up with a scale or index to measure this concept – keeping in mind that such an evaluation is wholly qualitative, and clearly dependent on the experience and observations of those making the judgment. And yet, as one of the only publications in the aviation world to consistently tell it like it is, we feel a need and an obligation to question integrity issues where we perceive them, present the information to you as best we can, and see what results. We have grand plans to serve you, we’re beating our heads against the wall to come up with ways to better the future of aviation, and have made a huge commitment to sticking it out in this business, even when there are times when that seems foolhardy, overly difficult, or unappreciated… But regardless of all that, we remain committed to seeking clarity, detail, and honesty in the issues that affect this business. You deserve that and have the right to demand it.